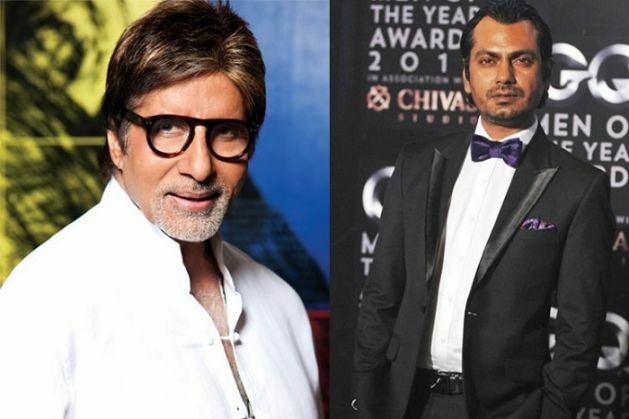 After Sujoy Ghosh's Kerela, Amitabh Bachchan and Nawazuddin Siddiqui to share screen space yet again in Ribhu Dasgupta's TE3N. The thriller, set in Kolkata will also star Vidya Balan in a pivotal role. According to sources, the 73-year-old actor signed on to the project, which will be directed by Ribhu Dasgupta, without even seeing the script, reports the Dawn. Talking about the film, creative producer Sujoy Ghosh said that when Ribhu sketched out the idea to the Paa star, he agreed to do it instantly just on the basis of the thought. It is being said that Nawazuddin and Vidya also agreed to play their parts in the film immediately. The film, which is set in Kolkata, is going on the floors next month and will be released in 2016.